Since 1983 Spectre Performance has designed and offered unique, innovative, parts and components to fuel the obsession car and truck enthusiasts have for their vehicles. 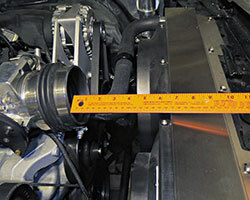 Once such innovative product category offered by Spectre Performance is the line of Spectre cold air intake systems for classic muscle cars with Chevrolet LS engine swaps. It can be difficult to find any kind of air intake system, let alone a cold air intake, that works with a modern Chevy LS engine transplanted into a classic Chevy. For this reason Spectre has designed cold air intake systems specifically for several classic Chevrolet models with a LS engine swap. Pre-configured Spectre Performance LS swap cold air intake systems are available for first and second generation Chevrolet Camaros, 1964 to 1972 Chevelle models, as well as 1963-1966 Chevrolet Biscayne, Caprice, and Impala cars. These air intake systems are available in a few different configurations depending on which car, engine and mass air sensor setup is being used. In addition, each air intake features a heat shield specifically designed to each vehicle’s engine bay and air filter placement allowing for factory like fit and function. While Spectre Performance might have specific cold air intakes for some of the most popular GM cars with LS engine swaps, owners of other GM vehicles shouldn’t need to feel left out. Spectre Performance offers a variety of LSx Intakes for LS engine swaps that use a plenum to route the air intake system up and over the engine drawing air from near the cowl and firewall in the engine bay. This is an excellent cold air intake choice for GM cars and trucks running cowl induction hoods, louvered hoods, or hood scoops. 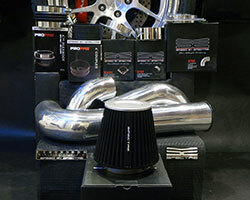 Car owners who still need something more custom can browse through Spectre Performance’s vast assortment of Universal Air Intake Components and with a minimal amount of effort can build something truly unique for their project. 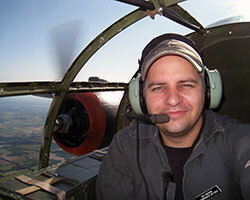 Take St. Louis, Missouri resident Matt McKahan for example. 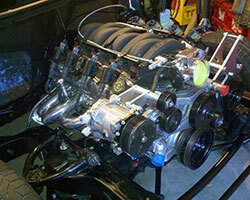 Matt began a complete frame off restoration and buildup of a 1982 Buick Regal G-Body early in 2012. 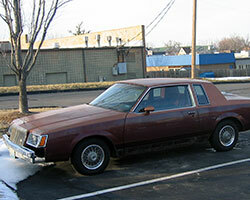 When Matt picked up his second generation Buick Regal it looked more like something a grandmother would drive to church than the car Richard Petty drove to victory in the 1981 Daytona 500. While the car was in pretty good shape for its age, Matt had big plans for the old G-Body and he has outlined the car’s transformation thus far on his Project Hot Rod Regal blog. One of the most important changes on his to-do-list was to pull out that 3.8L V6 and drop in a a 6.0L GM LKQ iron block LS engine out of a 2001 GM truck. While Matt is a FAA licensed pilot and aircraft mechanic by day, the large number of universal air intake parts available from Spectre Performance makes it easy to build a custom cold air intake system for modern LS engine swaps. When planning the cold air intake system for his 1982 Buick Regal with an LS swap, Matt had some very specific considerations that needed to be taken into account. Matt knew he wanted to place the air filter outside of the engine compartment for an air source that will remain closer to ambient temperatures. He could have gone with a 90 degree down turn and put the filter near the ground at the front of the car, but as Matt plans to actually drive his Regal this wouldn’t be the most protected location. Matt had already relocated the Buick’s battery, and as such the original battery tray was empty and provided an excellent location to route his Spectre Performance cold air intake into the Buick Regal inner fender which, as luck would have it, features a forward splash guard from the factory. 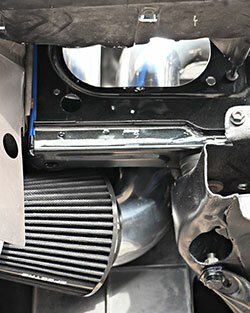 Matt cut the battery tray to allow a 4” outer diameter intake tube to pass through for his cold air intake system. Using a sheet of 1/8” aluminum, Matt created a close-out plate, which also functions as a heat shield and mounting point for his Buick Regal LS engine cold air intake system. The next step was to begin trimming his Spectre Performance air intake tubes and routing them across the engine bay and through the Regal’s inner fender. 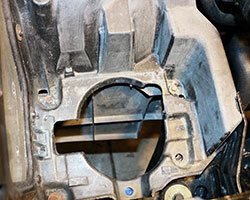 Clearances were pretty tight between his aftermarket aluminum radiator and the GM LKQ 6.0L engine’s throttle body. Matt took all his measurements and before trimming any of the tubing he loosely mocked up his Buick Regal cold air intake system. Once Matt was satisfied with his measurements, clearances, and placement of the tubes he made the finals cuts to the Spectre air intake tubes. After some simple cutting, welding, and fabrication Matt was ready to assemble his Spectre Performance Buick Regal G-Body cold air intake system. Matt thoroughly outlined the whole process on his blog and the end result is a stunning cold air intake system that looks just as good as it works. As Matt stated “Spectre Performance cold air intake parts allow you to create a custom cold air intake that is performance based and aesthetically superior!” With a little bit of planning, some basic fabrication skills, and the parts he used from Spectre Performance, Matt was able to take advantage of previously unused space under the cramped hood of his 1982 Buick Regal with an LS engine swap. Project Hot Rod Regal is still a work in progress but with the time and attention to detail being put into this build it would not be surprising to see it featured at an upcoming Specialty Equipment Market Association (SEMA) show in Las Vegas, Nevada. Browse all Spectre automotive products by category at SpectrePerformance.com. 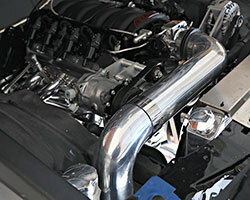 Use the Products by Vehicle Search to find vehicle specific Spectre Performance products made for your vehicle.